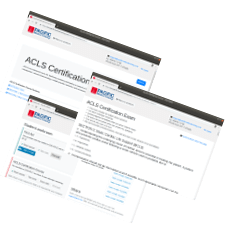 Before a license can be renewed, registered and practical nurse licensees must complete two of the following methods for maintaining continuing competency (Article 6 of 12 AAC). 30 contact hours of continuing education prescribed under 12 AAC 44.610 (certified by ANCC, ANA, AMA, a nurse practitioner or nurse anesthetist certifying body or approved by another Board of Nursing). 12 AAC 28.400. CONTINUING EDUCATION REQUIREMENTS FOR DENTISTRY AND DENTAL HYGIENISTS LICENSEES. 12 AAC 28.410. APPROVED CONTINUING EDUCATION COURSES. (c) The continuing education contact hours required by 12 AAC 28.400 or 12 AAC 28.405 for renewal of a dentistry license or a dental hygienist license may include no more than four hours of CPR training for the entire renewal period. 12 AAC 28.920. CPR CERTIFICATION. (a) Certification in cardiopulmonary resuscitation (CPR) techniques required under this chapter for a license or license renewal must be based upon training equivalent to that required for completion of a cardiopulmonary resuscitation course certified by the American Heart Association or American Red Cross. Online courses are not acceptable, unless there is a hands-on component. (b) The board may approve a waiver of the cardiopulmonary resuscitation requirements upon submission of documentation of a physical disability prohibiting the person from performing cardiopulmonary resuscitation. A person with a waiver must work in close proximity to a staff person with current certification in cardiopulmonary resuscitation. 12 AAC 52.340 APPROVED PROGRAMS. (2) cardiopulmonary resuscitation(CPR) courses presented by the American Red Cross or the American Heart Association that lead to CPR certification; the board will accept no more than one contact hour of continuing education credit in a 24 month period for completion of a CPR course. Total number of locations: 5. These locations CAN provide American Heart Association-branded provider cards if needed.